The past year has brought so much change. I haven’t written much because I’ve been busy with life; rebuilding, learning, coping, finding love (within myself and others) and exploring this new relationship that is about to cross the one year threshold. The past year has also brought with it something I haven’t had for so long… true happiness. I believe in one of my last posts I spoke about making space. I can’t tell you enough how much I learned the truth in that simple adage. Make space and something (one) new will enter. Build it, and they will come (thank you Kevin Costner). What also has become apparent to me is the strength I have found. Not that it was lost exactly… but it was indeed dormant. For decades it would seem. During this past year I had to dig deep, breathe it all out, and breathe back in a reserve and fortitude I had forgotten I owned. Owned isn’t the right word… possessed. To own something is to at one time purchase…. and I know I was born with this strength, as we all are. Rediscovering my power has been exhilarating and even scary at times. Remember in your 20’s when you were fearless and so full of attitude you’d have jumped out of a plane if someone had said, hey, “I’ve got a spare pass for skydiving this Saturday!” Scary, yet exhilarating. The feeling of plummeting down the highest roller coaster, screaming at the top of your lungs (such a weird analogy as biologically you use your entire lungs to pull in breath but I digress), heart hammering, yet ready to do it again once the ride is over. You see, experiences teach us to moderate our reactions to situations. Responsibilities tame us. What should never be broken however is our strength, and so often, for many of us who deal with life’s lessons, this happens. It happened to me. I became fearful, doubtful, hopeless, cautious, and well, dependent. I had lost my fire. And although I don’t think this showed on the outside; I was still funny, I would laugh and smile, but it never touched my eyes. Over the past year as I posted new pictures of me smiling and happy, the constant comment to me from friends and family was, Wow Jenn, you are glowing, you look so happy. Of course I thought, did I look that unhappy before? And looking back on those older pictures, I can see it. I see the difference clear as day now. When I look in my eyes now, I see that fire again. When I work I have more conviction in my abilities. When I teach I feel that passion. When I am with friends I am more present. And in my relationships I am truly me. Authentic. Not just adapting to what I think each person wants me to be. 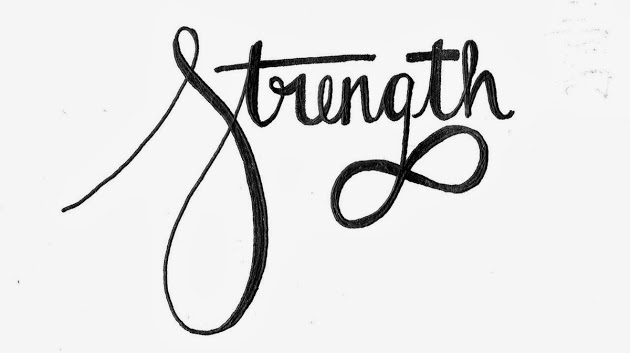 Strength comes in so many forms; it’s not always the herculean figure that comes to mind. Sure, I have become physically stronger through being more active and going to the gym. More importantly, I am stronger mentally, emotionally, and spiritually. I’m no longer afraid to ask for what I want. I may do it in a way that isn’t forceful, but I speak up. Part of my growth is due to the space, trust, and faith I have with my partner. She gives me things I haven’t received before, and I am forever grateful for them. I have felt like a sunflower in her light, absorbing eagerly in the security of our connection. The rest has been me, finding myself again. Peeling back layers of old resentments, fears and insecurities like so many layers of paint covering the patina of a long neglected antique table. Understanding that I DO deserve every bit of happiness I now have and enjoy. Our beautiful home and sharing our lives together. Remembering your self-worth is so very important. Discovering you have the ability to polish yourself up is vital. No one else can or should do this for us. If that were the case, we’d never discover how strong we really are. I am so happy for you! You a fantastic person and friend, I hope the strength and joy you have rediscovered deepen and grow in the coming years.